The Crossbreed is quickly becoming my most popular mid-length board. 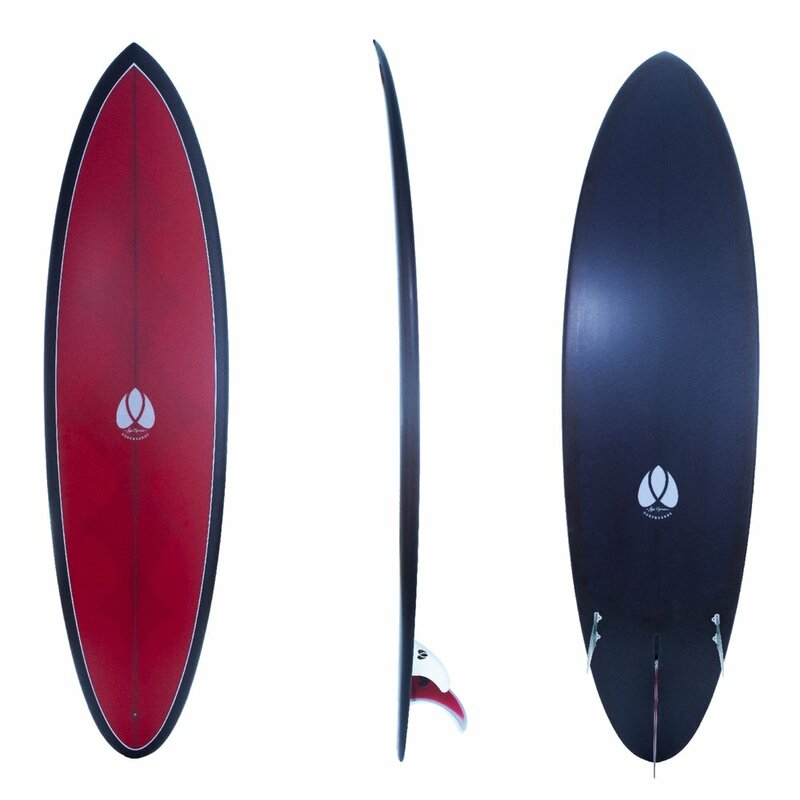 A combination of a few generations blended into a board that is large in volume and easy to paddle, coupled with performance characteristics of a shorter board. Great for those riding a longboard that wish to go shorter or for shortboard surfers wanting to go longer. A true all-rounder! A low to mid rocker with rolled bottom contour in the front half of the board, blended into a double concave and finished with a vee. Most popular as a rounded pin tail, but diamond and swallow tails can be adapted. Fin Setup: ‘2+1’ setup; comprising a single fin box and 2 side bites (FCS fin system). Suitable for: A true hybrid - suitable for beach, point and reef breaks from 1ft-8ft. Note: The above board dimensions are a guide based on common, custom-ordered sizes. We can manufacture custom sizes to suit your needs.